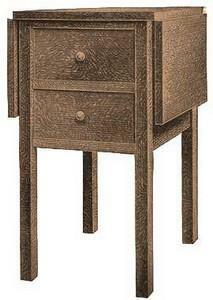 Free accent table plans including plans for an inexpensive yet classy sofa tray table. Build a mini table, a memory box table top, drop leaf sewing table or other conversation pieces with one of the plans below. Here's a nice weekend chore that is fun and easy to do. This article gives all the information needed on how to build a mission library table in just a few days. 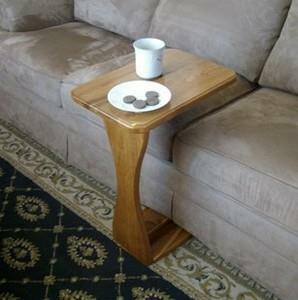 If you are tired of spilling your beverages while watching the game, build this sofa tray table. This pint-sized table is just the right size to tuck in anywhere. 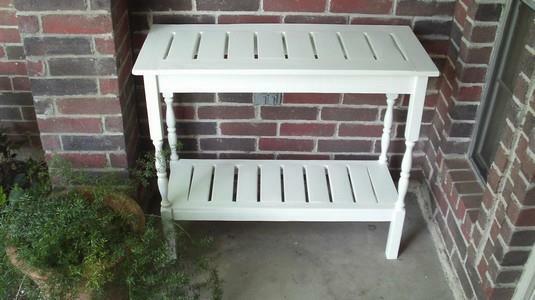 Get free plans to build an outdoor console table using stair balusters for legs. 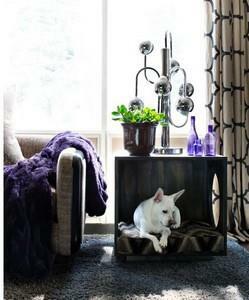 Build your pet a nap time private getaway while disguising it as an occasional table for your livingroom. Make a sturdy and efficient old wood soda crate table. 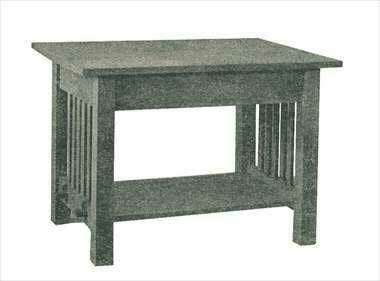 This neat table will become the focal point of your whole room. This sewing table doesn't take up much room with it's drop leaf top. Two handy drawers are included. 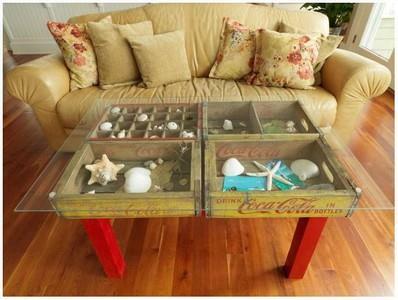 For a great room accent piece, here are free plans for building a memory box table top out of a basic side table.